Optimising the outcome of disputes connected with international business forms the subject matter of this book. Rather than adopt an idealised approach of pursuing victories at any cost, the authors help parties predict the realistic consequences (and costs) of their decisions and provide a step-by-step guide to opportunities to influence the course of a dispute as it unfolds in its various stages. They discuss techniques for productively resolving disputes through negotiation, mediation, and arbitration, frequently illustrating critical steps through real-world examples drawn from past experiences. 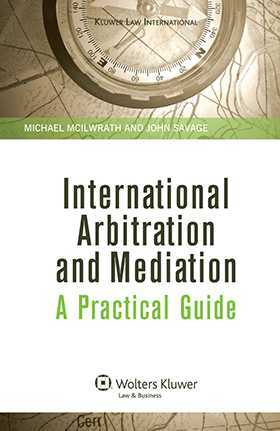 The book is intended as an easily accessible desktop resource for lawyers who regularly counsel businesses when negotiating international deals, and for those who represent the same clients in achieving a successful resolution when disputes emerge. Securing the benefit of additional protections available through investment treaties. Introduction. 1. The Elements of an International Dispute Resolution Agreement. 2. Negotiating an International Dispute Resolution Agreement. 3. When the Dispute Arises. 4. International Settlement Negotiation and Mediation. 5. The Conduct of the Arbitration. 6. After the Arbitration: Challenge, Recognition and Enforcement of the Award. 7. ICSID and Investment Treaty Arbitration. Appendices: 1. Glossary of International Arbitration Terms and Abbreviations. 2. Caseload of Selected Arbitral Institutions. 3. List of International Arbitration and Mediation Institutions, Rules, Laws, Conventions and Other Instruments. 4. Model Clauses for Institutional Arbitration. 5 . Model Clause for Ad Hoc Arbitration. 6. Model Early Case Assessment (ECA) Template. 7. Suggested Model Request for Arbitration for ICC Arbitration. 8. Model Answer to Request for Arbitration [and Counterclaim] in an ICC Arbitration. 9. Suggested Terms of Reference for ICC Arbitration. 10. Suggested Model Provisional Timetable for ICC Arbitration. 11. Suggested Model Request to Produce Documents in ICC Arbitration. 12. Suggested Privileged Log for an ICC Arbitration. 13. Suggested Model ‘Redfern Schedule’ for an ICC Arbitration. 14. Bibliography. 15. Netherlands Model Bilateral Investment Treaty. 16. United States Model Bilateral Investment Treaty.